For the Record: Belt-tightening continues at Brunswick Corp.
Brunswick Corp. announced it will consolidate a portion of its aluminum-boat production as part of its ongoing efforts to be more agile and responsive to market demand. During the next several months, Brunswick will transfer production of its Crestliner and Triton aluminum brands, now built in Little Falls, Minn., to three other manufacturing plants. As a result, the company says, the Little Falls facility will close sometime this fall. Production of Crestliner and Triton fishing boats and pontoons will be integrated into Brunswick manufacturing plants in New York Mills, Minn., Lebanon, Mo., and Fort Wayne, Ind. Both the Crestliner and Triton brands and their dealer networks will remain intact and the change is expected to be transparent to the dealers, the company says. The Little Falls facility will begin to ramp down production in May. As many as half of the current jobs in Little Falls could be transferred to the New York Mills or Lebanon facilities. Brunswick spokesman Dan Kubera says the move will mean about 90 of the approximately 180 production positions will be terminated in Little Falls, while the rest could be transferred to other plants. "We do anticipate that many of the people now in Little Falls will be offered roles in those plants, as a reflection of their capability and to provide continuity for the brands which are not affected by this announcement," Kubera says. "For the past several years, we have worked hard to institute more flexibility into our boat-making capabilities," chairman and CEO Dustan E. McCoy says in a statement. "We have been steadily moving toward &apos;category&apos; type production that focuses more on models and segments, rather than the traditional approach of having manufacturing facilities dedicated to a particular brand." Tim Conder, an analyst with Wells Fargo Securities, says the latest move by Brunswick was not surprising and appears to be part of an already communicated restructuring plan. "We have been anticipating consolidation of the aluminum production for over a year," he says. "We continue to believe [Brunswick] is well-positioned to expand its lead ... in the industry as the recovery unfolds in &apos;11." 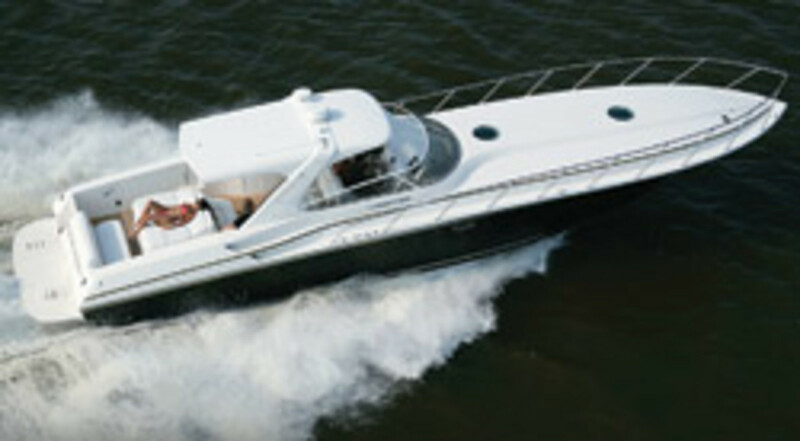 KCS International Inc., the parent company of Cruisers Yachts and Rampage Sport Fishing Yachts, hired back 100 employees to work on new orders for both brands and to help complete the 2011 prototype of the 470 Cruisers Sports Coupe. "Although the past year has been pretty rough on the boating industry, our unwavering commitment to the Cruisers Yachts and Rampage Sport Fishing Yachts brands is what has carried us through these tough economic times," says Mark Pedersen, president of KCS International, in a statement. "Our future looks quite bright, as our engineering and marketing departments continue to explore every opportunity to grow both brands and to re-establish ourselves as one of the world&apos;s leading yacht manufacturers," he says. Since November, employees have been brought back to finish production on several assembly lines, as well as to start production on a number of newly ordered Cruisers and Rampage models. Pedersen says he believes the Oconto, Wis., facility could be fully operational by the fall. Fountain Powerboat Industries emerged from Chapter 11 bankruptcy protection in early February and the privately held company is now owned by Liberty Associates, which also is the majority shareholder of Donzi Marine and Pro-Line Boats. Company founder Reggie Fountain, who filed Aug. 24, 2009, for bankruptcy, says he&apos;s happy with the outcome. "We&apos;ve been pretty fortunate all along," he says. "I think the judge noted that we had one of the lowest groups of payables to our vendors that he&apos;d seen in a bankruptcy." Fountain will stay on as president and CEO and says he will buy back into the company, though not at the 51 percent of shares he once owned. California-based FB Investments had attempted to buy the company after it purchased the note from Regions Bank. After a court fight, however, the company approved Fountain&apos;s reorganization plan. Fountain says Liberty Associates will pay FB Investments the money it is owed by mid-March, if not sooner. There are currently about 120 Fountain employees. That number had been as low as 20 last fall, Fountain says, adding that he hopes to bring back more employees as the economy allows. "The economy is going to determine [when we can bring employees back]," he says. "We can&apos;t force that, wouldn&apos;t want to force that, after getting out of Chapter 11." Fountain also says the company is much leaner and running with less overhead than it once had - as much as $1 million a month less. In 2006, he notes, Baja and Fountain combined did $160 million in business. He hopes to be back to at least half of that amount in three to five years. "I&apos;ll be tickled if that happens," Fountain says. Soundings Trade Only expanded its digital offerings by launching a mobile site, extending the reach of its market-leading digital and print products. "It&apos;s great for news on-the-go," says editorial and IT director Ian Bowen. "News you count on every moment of the day fitting your mobile screen, so you are in touch." In addition, the new mobile site (http://mobile.TradeOnlyToday.com) has banner ad positions uniquely configured for mobile device delivery and offers full ad service tracking and site statistics on all relevant metrics. "Trade Only Today is the best-known daily e-newsletter for the world&apos;s marine industry," says James Causey, vice president of Trade Only&apos;s Dominion Media division. "The launch of this mobile site is the latest piece of our 360- degree media strategy to give our readers information any way they want it, and marine industry marketers the platform to reach them as they are making their buying decisions." For information, contact advertising director Dean Waite at (954) 786-5700. Soundings Trade Only is owned and operated by Dominion Enterprises of Norfolk, Va. Custom boatbuilder American Custom Yachts, located in Martin Country, Fla., plans to bring as many as 40 new jobs to the area to accommodate two large yacht construction projects under way at its 63-acre Stuart facility. "Thanks to our expansion over the past few years, we are now able to take on projects of this caliber," American Custom Yachts president Dominick LaCombe says in a statement. "This is definitely going to be a boost to the economy of Martin County." Soundings, Trade Only&apos;s sister consumer magazine, relaunched its Sell My Boat Online page. "Boaters have trusted Soundings for nearly five decades as the best place to find their next new or used boat. Now our revamped Sell My Boat Online site has made it even easier to reach Soundings&apos; audience of &apos;Real Boaters,&apos;" says Gretchen Dare, circulation director and business manager for Soundings Publications. The Sell My Boat ad placement tool offers exposure in Soundings print magazine, on SoundingsOnline.com and BoatTrader.com through e-mail distribution and event exposure. To list a boat, sellers should visit SoundingsOnline.com and click on the "Sell My Boat" tab at the top of the page to create an ad, upload up to 12 photos, and instantly review the Sell My Boat ad. For information, contact the Soundings Boats for Sale team at (800) 444-7686, Ext. 224. Soundings, Soundings Trade Only and BoatTrader.com are owned and operated by Dominion Enterprises of Norfolk, Va.
EdgeWater Boats recently restructured its sales operations and placed sales director Roger Taylor in charge of all international sales activities. "We have given Roger these additional responsibilities because we no longer are working exclusively with international distributors. Going forward, international sales will be handled by our in-house sales team," says Peter Truslow, president of EdgeWater Boats, in a statement. "This appointment enables us to respond more effectively to the growing demand for our products overseas and to handle our international sales and service more efficiently," he adds. Last year, EdgeWater saw increased sales activity in Latin America, the Caribbean and parts of Europe, Truslow says. 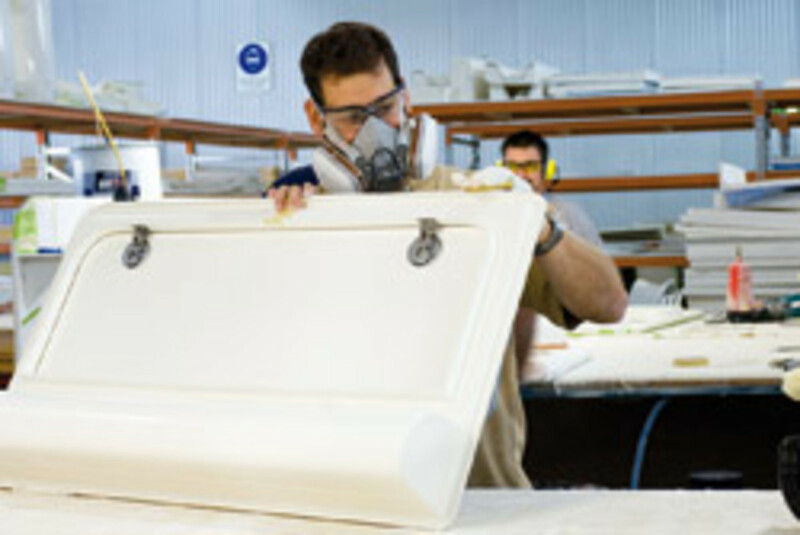 Unsecured creditors and former employees of Australian boatbuilder Riviera have agreed to payments and the company can move forward with its restructuring. "The acceptance of the proposed [Deed of Company Arrangement] is a further milestone in the rebuilding process of Riviera since the considerable effects of the global financial crisis impacted the global luxury boatbuilding industry forcing Riviera into receivership on May 8, 2009," CEO John Anderson says in a statement. Mercury Marine began moving work from its Stillwater, Okla., facility to Fond du Lac, Wis., now that the county&apos;s agreement for a multimillion-dollar loan to the company has been finalized. Additionally, the estimated 500 laid-off Mercury Marine workers declined to fewer than 100, thanks to buyouts and job call-backs, Brenda Hicks-Sorensen, president of the Fond du Lac County Economic Development Corporation, told Gannett Wisconsin Media. The county&apos;s $50 million overall loan to Mercury Marine will be funded with a new county sales tax, which starts April 1. The Fond du Lac County Board of Supervisors approved a half-percent tax on taxable purchases in September. Cash registers around the county will need to be adjusted to 5.5 percent on April 1. Defender Industries announced an increase in sales of 29.3 percent in the fourth quarter and a gain of 10.2 percent for the year ending Dec. 31, 2009, the company announced. The privately held company does not release specific financial information. "Our sales set new all-time records in eight months of 2009, including the last seven consecutive months of the year, all of which were up by double digits," executive director Al Knupp says in a statement. "As a result, 2009 marks the sixth consecutive year of record sales, the eighth year in a row of solid growth and the best in the marine outfitter&apos;s 71-year history." 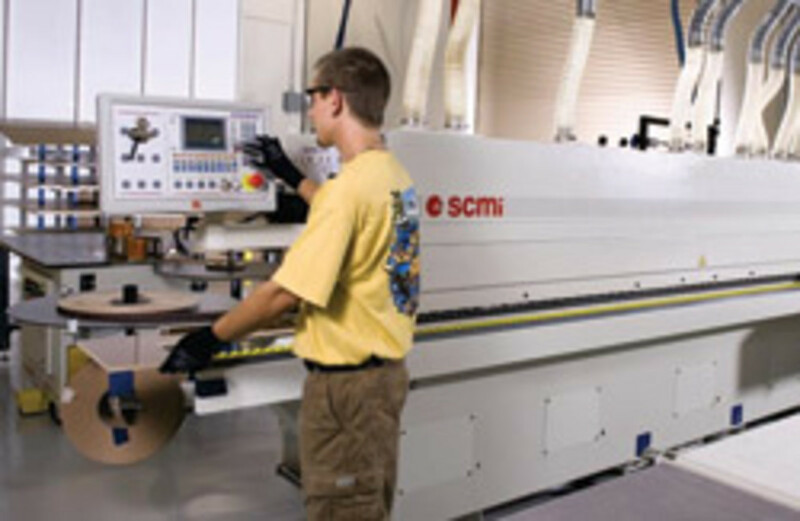 Ameritex Fabric Systems will supply canvas doors for Chrysler Group Global Electric Motorcars LLC. Ameritex, a division of Taylor Made Group, established a relationship with the electric car company as part of its plan to diversify about 25 percent of its business, The Tampa Bay Business Journal reports. Ameritex currently has 58 employees and plans to add 10 to 20. Global Electric Motorcars, based in Fargo, N.D., makes six models of battery-powered cars mainly for intracity use. The Taylor Made Group announced in August it had purchased the assets of Ameritex Technologies and that the business would be reconstituted as Ameritex Fabric Systems and relocated to the Taylor Made Systems facility in Bradenton, Fla.
Staff Jennings Boating Centers closed its Eugene, Ore., store after 52 years in business. The company&apos;s Portland, Ore., store will remain open. The store has made cutbacks during the last year. Ten of 16 employees left or were laid off, the dealership closed on Sundays and Mondays, and long Thanksgiving and Christmas holidays were scheduled. Marl Carter, general manager and vice president of the Eugene store, told the newspaper he could have kept the store open by making further cuts, eliminating every brand but Bayliner and hunkering down for a couple of years until the economy recovers. "The bottom line is I did not want to do that," he says. "I want to retire." Selling the dealership was not an option, he says "Nobody would buy a boat dealership right now." Mystic Powerboats reported record growth in units delivered and new boat orders in 2009. "We are very fortunate," owner, president and CEO John Cosker says in a statement. "We&apos;ve doubled our production. ... Currently, our 2010 model-year boats are sold out. New orders now are all for 2011s." The company typically takes two orders per calendar year, but from the 2009 Miami International Boat Show through the end of December, the company contracted and/or delivered six boats, Cosker says. The DeLand, Fla.-based company, which has been in businesses since 1996, ended 2009 with $2.8 million in sales, compared to $1 million in 2008. The Bennington Marine management team partnered with Balmoral Advisors LLC to purchase the assets of the company, company president and CEO Steve Vogel says in a letter to "valued customers." "Our new company is debt-free and is committed to continue providing you with the highest quality products and services you have come to expect from the Bennington brand," Vogel says. "During this process, we learned a great deal to help us become a more focused company." Summit Partners was the previous owner of the Elkhart, Ind.-based pontoon manufacturer. About 150 employees were called back to work at Sea Ray plants in Tennessee in January. Brunswick spokesman Dan Kubera says that since Jan. 1, between 90 and 95 workers have been recalled at Sea Ray operations in Forks of the River Industrial Park in East Knox County, and 50 to 55 have been called back at the Sea Ray plant in Vonore, the Knoxville News Sentinel reports. No further call-backs were immediately planned. Whether more workers are brought back will depend on how the market develops in 2010, Kubera told the newspaper. John T. Lowe, known in northeast Florida as "Mr. Boating" for his work on behalf of recreational marine interests, died Jan. 26 due to complications from a fall. He was 79. A three-time past president of the Marine Industries Association of Florida, Lowe devoted more than 40 years to ensure people&apos;s access to Florida&apos;s waters. He also promoted recreational boating safety as well as the state&apos;s natural resources as boosts to tourism, according to an article in The Florida Times-Union. Lowe, who worked full time in the recreational marine industry after retiring in 1971 from a 21-year career as a Jacksonville police officer, was a respected lobbyist who kept an eye on legislation proposed in Tallahassee affecting boating consumers&apos; interests. He also served as the executive vice president of the Jacksonville Marine Association. 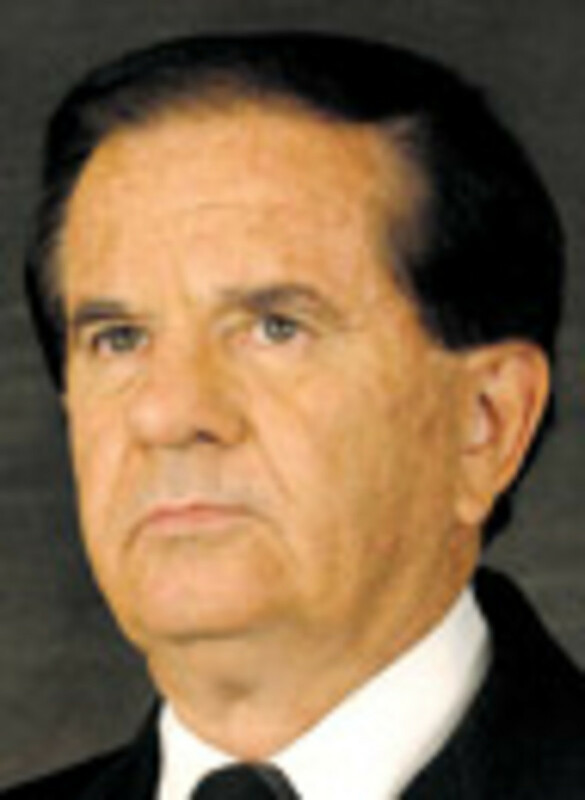 Lowe served on the Florida Boating Advisory Council, the U.S. Fish and Wildlife Manatee Recovery Team, the State of Florida Blue Ribbon Marina Committee, the Jacksonville Marine Institute and was a founding board member of the Greater Jacksonville Kingfish Tournament. He also served on the Duval County Tourist Development Council for 16 years and was a member of the Jacksonville Waterways Commission. A past commodore of the Jacksonville Outboard Club, Lowe received numerous honors during his marine career, including the 1978 Irv Rosenthal Award from the Marine Retailers Association of America and the 1978 Charles F. Chapman for "distinguished service to the sport of boating." Cook Composites and Polymers announced a price increase of 6 cents per pound for all gelcoats and unsaturated polyester resins. In addition, vinylester resins will increase 9 cents per pound. The new pricing is to be effective with shipments made on or after Feb. 7. The recent escalation in raw material costs used to produce these products is the cause for this increase, the company says. "CCP acknowledges the impact these actions have on our customers and as such continues to implement cost-reduction strategies to help minimize their effect," vice president of sales and marketing Ken Moran says in a statement. Meanwhile, Hexion Specialty Chemicals was to increase prices in North America for unsaturated polyester resin systems by 6 cents per pound, and for vinylester resin systems by 9 cents per pound, effective Feb. 1. "Increasing cost for oil, natural gas and the intermediates derived from them have driven significant increases in prices for our raw materials, particularly styrene, maleic anhydride and glycols," says Gerhard Bohme, North America business director of composite polymers, in a statement. The company also announced that it had increased the prices of its liquid, solid and solution epoxy resin grades by 150 euro per metric ton in Europe and $200 per metric ton in the Middle East and Africa.